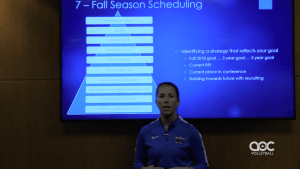 DePaul volleyball coach Marie Zidek explains her philosophy for structuring practices. 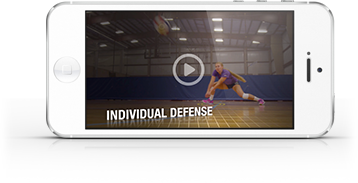 She emphasizes the importance of having a diverse staff that can monitor and enhance both the offensive and defensive drills. She says variety is just as important as specialization for the coaching staff. Having more eyes and perspective on each aspect of the game allows for greater variety of feedback and growth. Zidek touches on isolating certain skills that her players needed to improve: passing, more precise setting, higher scoring among hitters. She allotted time for each of those facets during practice. She also structured practices with different types of drills (competitive vs. non-competitive, short court vs. full court, simple vs. complex) to build a balance between lightness and intensity.